Chicken is one of Britain's most popular meats. Used by families at home and by professionals in restaurants and hotels across the country. It’s not hard to see why, given that it is so versatile. With Campbells Prime Meat, you can shop a selection of chicken online and have it delivered fresh to your door. 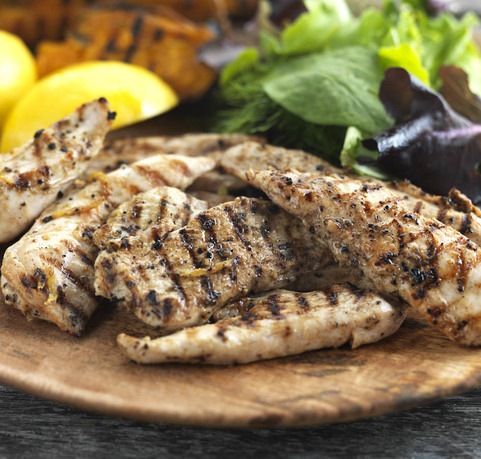 There’s a range of cuts to choose from, including fresh chicken wings, thighs, fillets and diced chicken breast. We also offer whole chicken and chicken crown. All of our chickens are corn-fed and free range. Create the perfect Sunday Roast with one of our whole chickens or chicken crowns. Mouths will be watering when you serve with some roast potatoes and steamed veg with plenty of gravy. 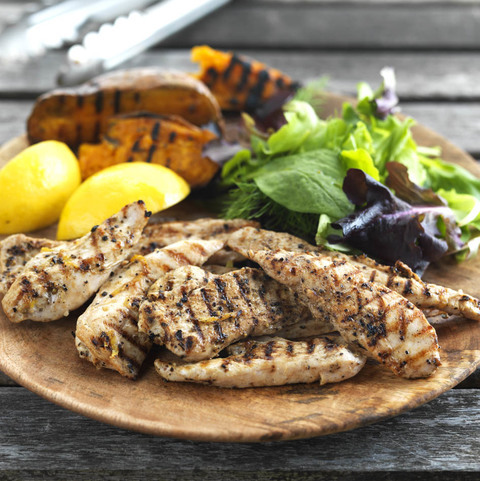 Cook up some hearty, homemade favourites with our fresh chicken fillets, whole or diced. Enjoy a healthy Friday night in with a homemade chicken curry and rice. Or maybe an Asian inspired Chicken Stir-fry with noodles is more up your street? For those colder months a chicken stew will keep you warm. 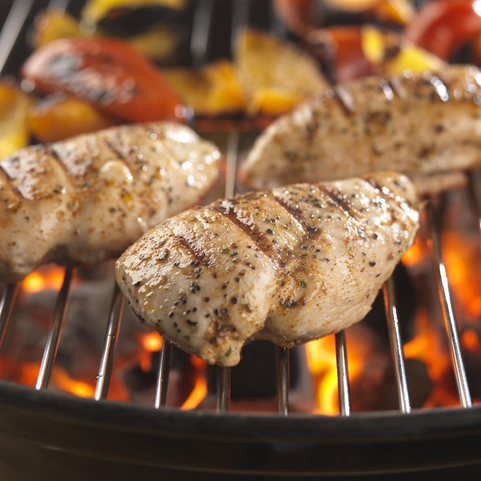 Amongst our range, you will find items perfect for a sizzling summer BBQ, like our fresh chicken kebabs, drumsticks & thighs. And, for something truly Scottish, give our delicious chicken Balmoral a shot. A sizeable fresh chicken breast that has been generously stuffed with haggis for a mouth-watering dinner time treat. Our Chicken Balmoral also makes for an ideal alternative to the traditional Burns Night Supper. The expert chicken butchers here at Campbells ensure you receive the freshest chicken as part of your online meat order. Don’t forget, we offer free delivery on orders over £50. Buy chicken online for home delivery from Campbells Prime Meat. As Scotland’s finest online butcher, we take pride in providing fresh poultry, meat, fish and deli produce for every kitchen. Try us out today and get top quality meat and fish at affordable prices.